China, May 31, 2018: The Patriotic Association of Chinese Catholics (PA) and the Council of Chinese Bishops (BCCC) have launched a “Five-Year Plan of Development for the Sinicization of the Catholic Church in China”. The plan was approved by acclamation in the Fourth Joint Meeting of the two national bodies, held last week, attended by the leaders of the two organizations, neither of which are recognized by the Holy See. In his address to the gathering, Yu Bo, vice director of the State Administration for Religious Affairs, explained that ” The 4th coalition meeting is to implement deeper the spirit of the Ninteenh National Congress of the Communist Party in October 2017 and the spirit of the National Conference on Religious Work in April 2016, and to focus on the deliberations of a five-year plan to advance sinicization of the China Catholic Church”. No details of the 5-Year Outline were mentioned in the May 22 news release of the CCPA-BCCCC website. Even in the previous three coalition meetings, which have been devising contents for the Sinicization of the China Catholic Church, the CCPA-BCCCC website also gave no details. Some Catholic observers believed it was perhaps not to offend the Vatican, as China and the Vatican is undergoing negotiations and some illicit bishops in the national Church bodies are waiting for the Pope to absolve them. 5. focus on the manifestation of a sinicized China Church in architecture, arts, and liturgy. The Fourth Common Meeting took place just as ecclesial sources in China and outside the country say that next week there will be a new round of negotiations between China and the Vatican. Last February, rumors had spread that there would be a meeting between the Chinese and Vatican delegations in March, but none took place. It was even rumored that if everything gets set in this early June meeting, another round would take place in late June for the signing of the accord. 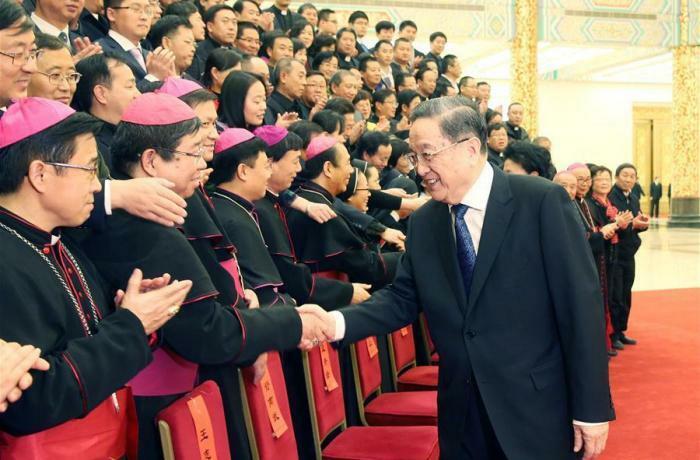 In general, Chinese Catholics do not seem optimistic about the signing of the agreement. Violence against the Church has emerged in recent months (ban on minors going to church in Henan, destruction in Xinjiang, etc. …). In addition, on the internet, anonymous bloggers revealed a name list of about 20 bishops that the Holy See appointed before and after the China-Vatican negotiations resumed in 2014, implying the Holy See breached consensus in the negotiations. In an interview with the South China Morning Post on May 18, Msgr. John Hung Shan-chuan, Archbishop of Taipei, said that the Pope told him that he would not compromise Catholic principles for the negotiations and that the power to appoint bishops must remain in the hands of the pontiff. For this, concludes Msgr. Hung, there is still no final agreement on the dialogue. The “Sinicization” plan also involves the Protestant Church and was approved last April. Rumors have spread that the Communist Party would like to “rewrite the Bible”. In fact, according to Protestant scholars, this idea is ridiculous, but Christians should pay attention to attempts to re-interpret the Bible, as happened in the recent past in Latin America, when the “Pastoral Bibles”, which tried to re – interpret the Gospel message by bringing it closer to the communist ideology.